Best known as an Arizona history lecturer, Robert Woznicki, M.A., M.A., Ph.D., has visited over eighty countries and has been around the world twice. His books from these experiences include The History of Arizona, The History of Yuma and the Territorial Prison, Madame Curie: Daughter of Poland, and two volumes on world history. 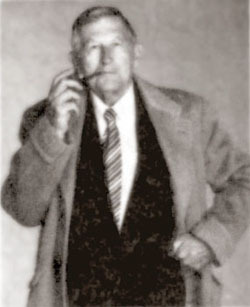 Appearing on Good Morning, America and the BBC, Dr. Woznicki has received many honors, including being a keynote speaker at the Congressional exhibit honoring Madame Curie at the Atomic Museum, Albuquerque, New Mexico (1992) and a speaker at the Congress of European States of Eastern Europe at the University of Warsaw, in Warsaw, Poland (1995), which included extensive representation from the European Economic Union. He has been on the faculties of many high schools and junior colleges in Arizona. He was an instructor for the Dependent School Program with the USAF schools in Libya, Spain, and England. In Asuncion, Paraguay, he was the Director of the Central Cultural School. He also was on the faculties of the University of Maryland, San Diego State University, the University of Warsaw, Poland, Beijing University Post and Communications, and the Beijing Second Language Institute in China. He has done research at the Universities of Oxford and Cambrdige in England. In Michigan, he was Superintendent of Schools in Marne. Dr. Woznicki resides with his wife and family in Tempe, Arizona, and is looking forward to teaching another semester in China, as well as giving lectures in the southwest.